Leaving QT at 8am sharp, lunch at 11am at Chuys in Plano. 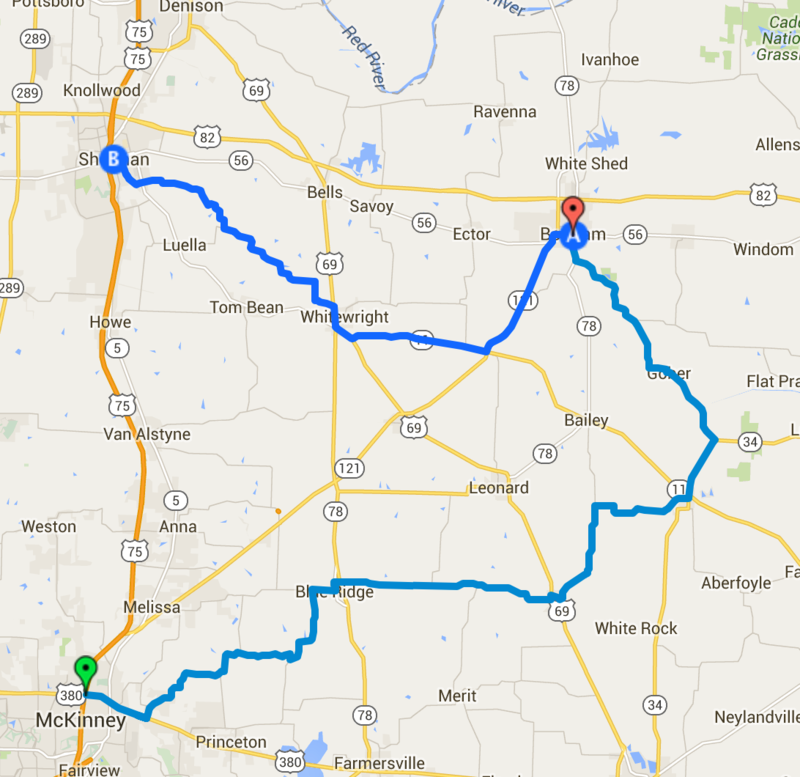 Route starts in McKinney and ends in Sherman, if we have time we may backtrack a little on the journey to Chuys. Fun twisties in north texas, bring something that can turn well, bike or car. Pace will be fast in the corners, speed limitish on the straights. Here are reviews of some of the route. I've ridden most of those rodes/routes on my bike in years past and it can be fun. If I wasn't gonna be at the lake I'd be down for sure. Just watch out for blind curves in New Hope if you want to go fast. I live off that road and 1st blind curve there's a T in road. My house is almost directly under the B. Those are good roads. That's too bad, i would like that very much. I'll be there! 8am is early, especially from Arlington, but it sounds like fun. We need a west side one of these. Anybody? so how'd it go, you no posting bastards? It was good, we are going to Mena, AR on the 23rd. Oh you guys have cars, I thought this was motorcycles. Next time you do a local one I'll bring my junk, but it's not gonna hang with a miata. also in for the next one.